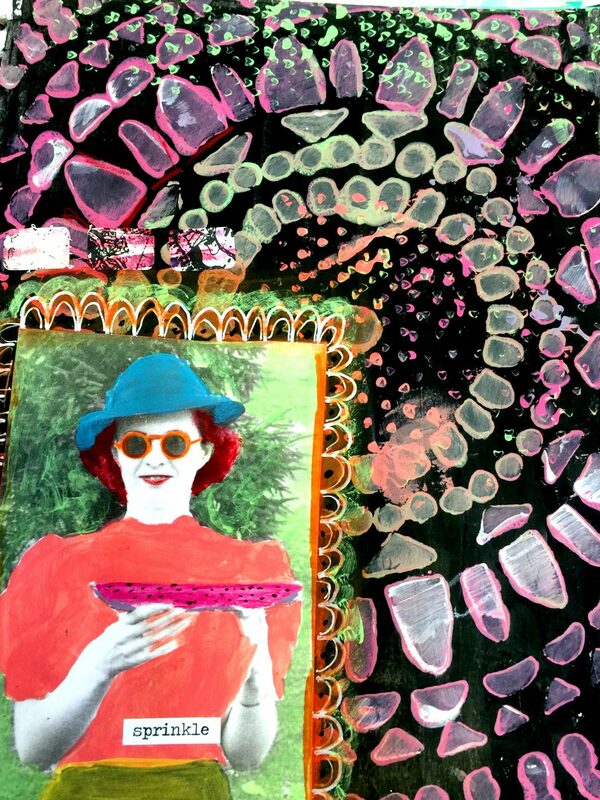 Let’s Hang Out and Art Journal for a Weekend! 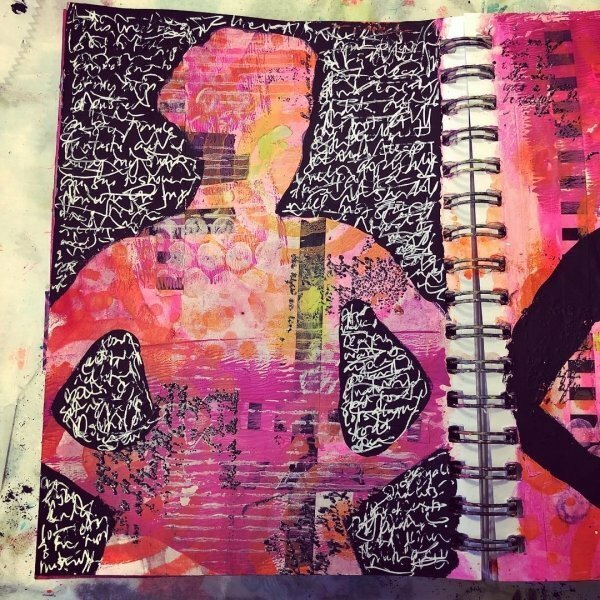 Do you ever wish you could just Art Journal all weekend long? With really nothing else to think about or do? Doesn’t it sound absolutely lovely???? 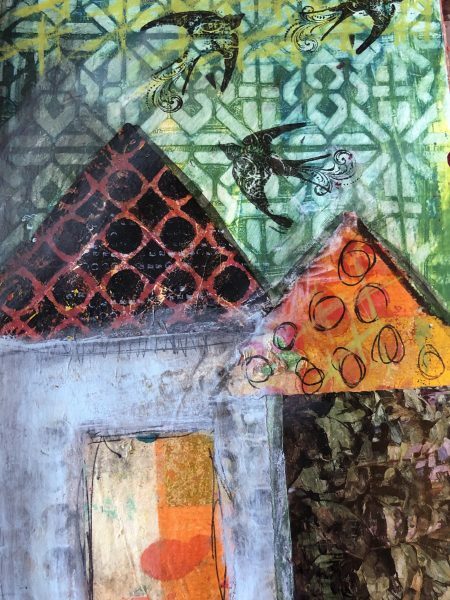 I got the idea from the sweet comments from those who live too far away for our Art Journaling Series classes. And, from making so many dear friends over the five (5) years Ephemera Paducah has been in business. If this goes well, we’ll do it a couple of times of year. 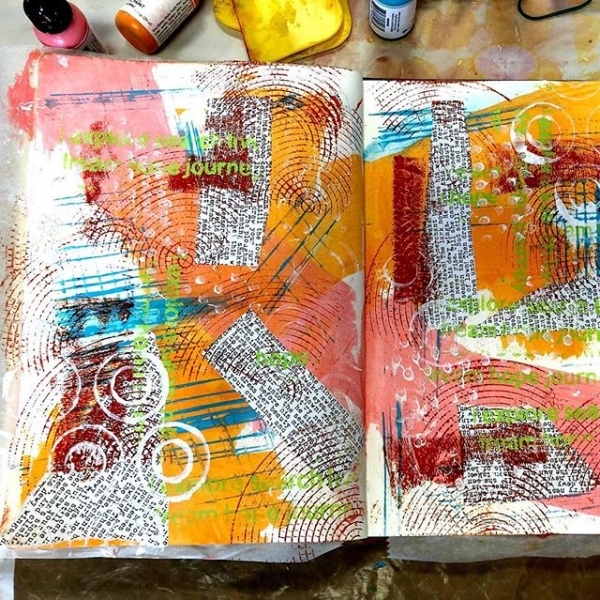 This is an opportunity for those who have taken an Art Journaling workshop from either me (Kristin) or one of our Guest Instructors at Ephemera Paducah. Or, those who are actively Art Journaling now (or have in the past). It’s not a class, per se. You will be working on your own stuff. 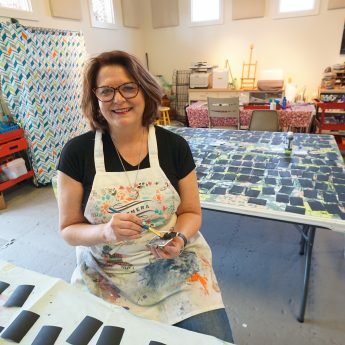 But hopefully the weekend will inspire you and from time-to-time, there will be demonstrations of some of the favorite tips and techniques taught at Ephemera Paducah. Because part of the joy of this will be learning from each other, please have a trick or two up your sleeve that you can show your table neighbors! The non-consumable tools like water jars, stencils, texture tools, stamps, and gel plates will be available for use. Please supply your own paints, glues/mediums, pens, baby wipes, and favorite supplies for your journaling. If there’s a group of you who would like to stay in The Loft (it sleeps a maximum of 8 friends in 6 beds), email me, Kristin, ASAP to reserve (Rate is $650 plus a $65 cleaning fee for Friday & Saturday nights). Everyone staying in The Loft needs to be registered for the weekend, as well. Otherwise, a few weeks before class I will send an email out to those registered with prices on a per bed basis (if it is available). Check out our Travel to Paducah page for other lodging recommendations. Act fast (before March 1) to grab one of our six (6) Early Bird seats and save $50! A Welcome Sussy – everyone loves a surprise! Hanging out with other Art Journaling Lovers for a weekend! Before registering, please familiarize yourself with our Cancellation Policies Updated September 1, 2018.